The gorgeous Leprechaun motorhome promises fun and the luck of the Irish to all who dare to call it their home on the road. 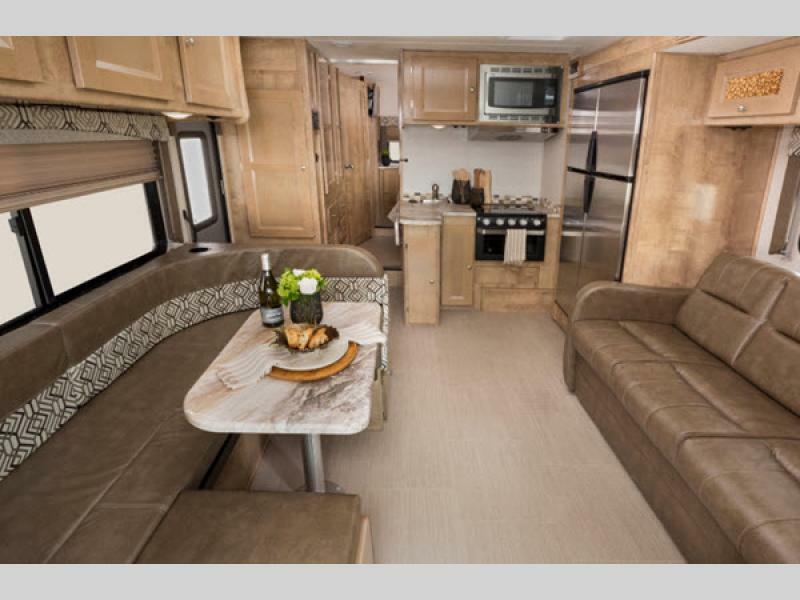 This RV offers everything you need to feel right at home. From the spacious bedroom to the great kitchen, when you hit the road you know you will feel right at home. 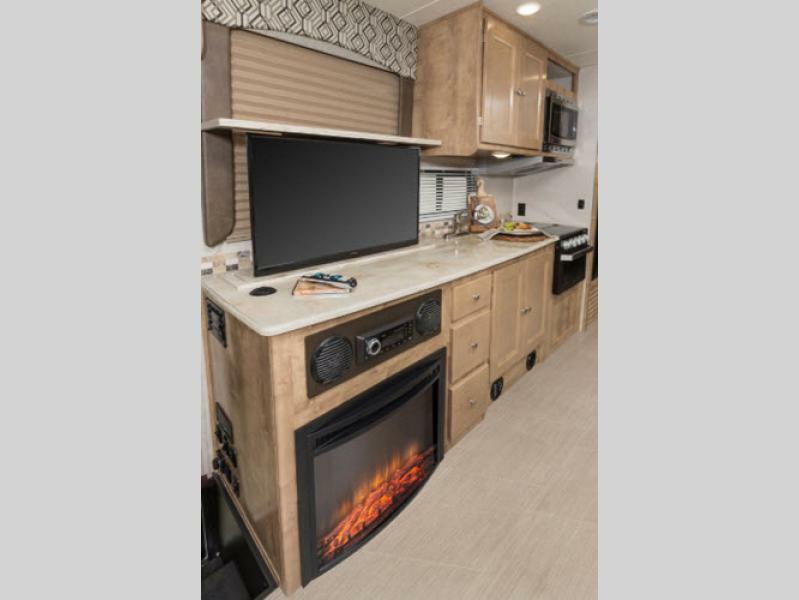 Learn more in our Coachmen Leprechaun class C motorhome review. 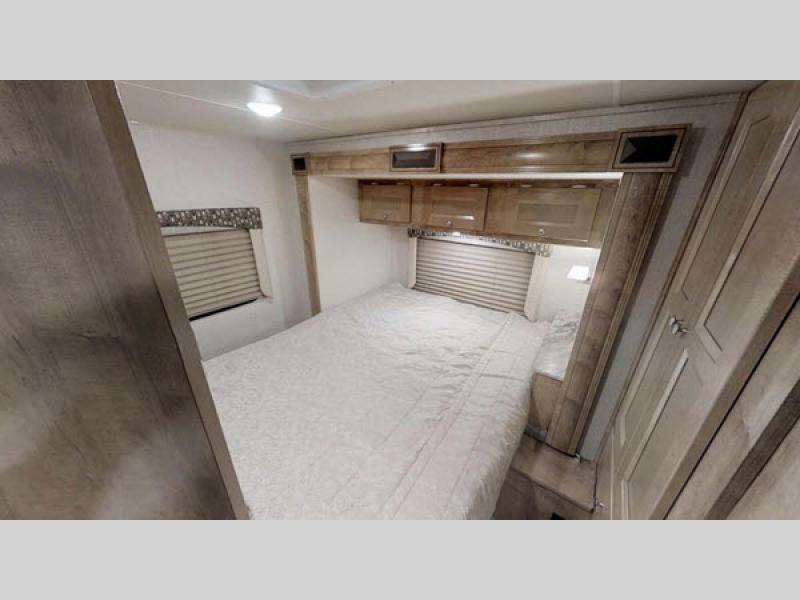 The spacious bedroom in the Leprechaun motorhome was designed to provide you with an inviting space to call home. After a day of adventures it’s nice to know you have a private space to come home to and relax in. One of the most important features of any RV you choose to call your home on the road is a great kitchen. The Leprechaun’s kitchen comes standard with everything needed to make amazing meals and enjoy the process while you do it. From the great appliances to plenty of counterspace, everything about this kitchen is sure to delight. You’ll love how this living room was designed to make you feel right at home. Genius design features like the built in fireplace and pop up TV all come together to provide you with a homey space. If you’re interested in learning more about our selection of Leprechaun class C motorhomes for sale, contact us. We can answer any questions you have and make sure you’ve got the information needed to make the best selection for your needs. We can also walk you through units so you can see which one would be best for you.